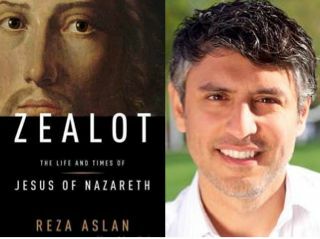 Last summer author and scholar of religions REZA ASLAN came out with a book that utilized a great deal of historical research to give readers a sense of the man, Jesus of Nazareth. ASLAN had taken on a similar task seven years earlier with his first book NO GOD BUT GOD, in which he tells the story of Mohammed. But the problem for some folks this time around is that Reza Aslan is a Muslim. In an interview that has been viewed at least a million and a half times on YouTube, Lauren Green of Fox News demanded to know, “You’re a Muslim, so why did you write a book about the founder of Christianity?” – and that interview sent Aslan’s book, ZEALOT: The Life and Times of Jesus of Nazareth, to the top of best-seller lists for weeks. REZA ASLAN has been a guest on Free Forum a number of times in the past, and I’m happy to welcome him back again, to talk a bit about the reaction, but much more about the content and meaning of his book. He examines Jesus through the lens of the time and place in which he lived, first-century Palestine, and labels him in the book’s title, a zealot – a radical political opponent of the Roman occupation. Because Jesus was crucified without overthrowing Roman rule, he is one of many failed messiahs. But why did this particular failed messiah become the starting point of one of the world’s great religions, wielding enormous influence over two thousand years later among more people than even existed during his lifetime?